Since 2008 we have worked on a number of challenging development and IT projects for Hertz Autohellas. To date we are Hertz’s primary digital development partner in Greece continually working and updating backend and front- projects ranging from development and globalization of Hertz’s online booking portals in Greece and the Balkans to design and development of Hertz sub brands web sites in Greece and southeast Europe. 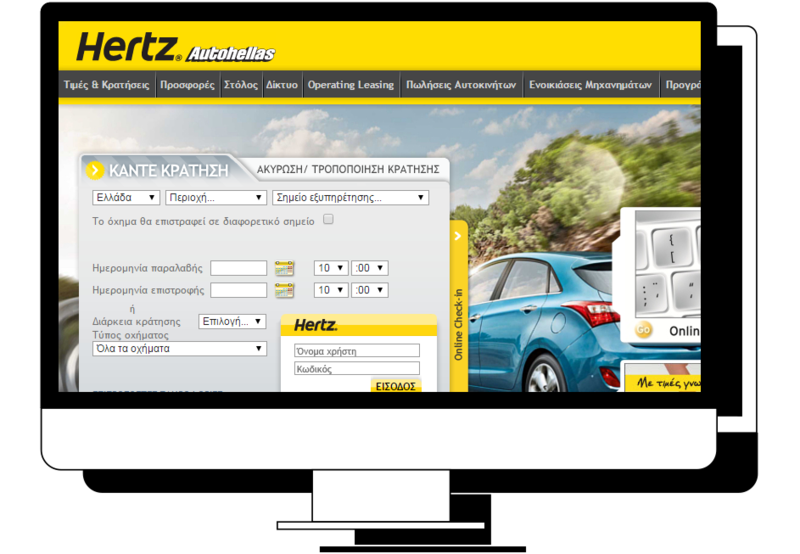 Linakis digital development team has implemented a series of client-side solutions for Hertz in Greece. Key to this strategic partnership is a close cooperation with Hertz IT solutions team to arrive at the best development options. Following regular consulting, the two teams work together to find and implement the best back and front end solutions in order to synchronize and streamline Hertz’s systems with client side interfaces in the company’s various portals.